Price 2700 Rs. - 4900 Rs. 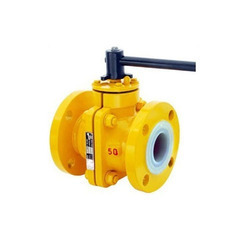 We offer a quality range of PTFE Lined Ball Valve to our clients. The advanced anti blow-out steam assembly works flawlessly even when the top gear is disassembled.